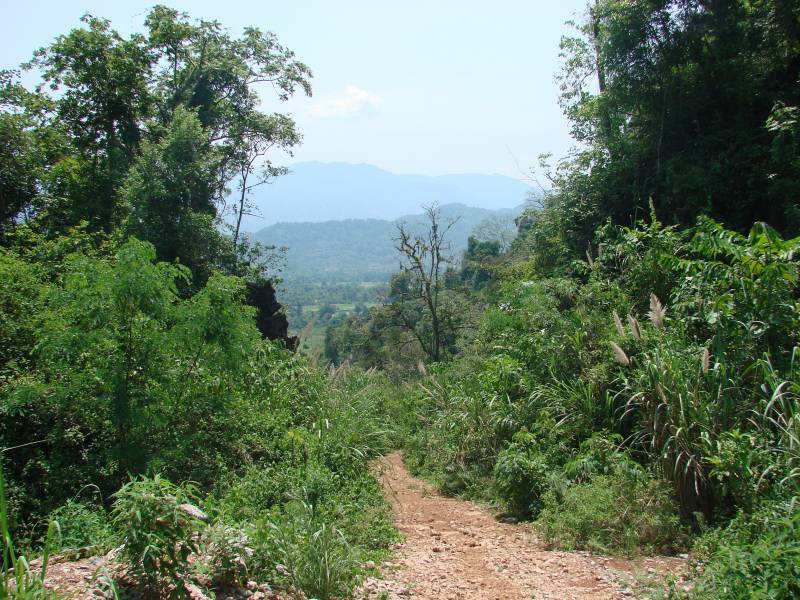 Laos is a beautiful mountainous country in Southeast Asia. The country is completely landlocked but what it lacks in pretty beaches it more than makes up for with lush green jungle and amazing temples. Laos was the 7th country of our 5-month trip and we spent two wonderful weeks traveling around the Northern part of Laos. I love writing my itinerary posts for several reasons. Most importantly, getting around is a major part of travel and I hope my Laos itinerary and travel information helps you plan your trip! Also, and this is a completely selfish reason, it makes me relive my trip and the fun adventures I had on the road (check my 3-week itinerary for the Philippines or my biggest misadventures post if you like to read more). Finally, I hope I can inspire you to travel more and visit places you might not have thought of visiting before reading this post. There are so many amazing places in the world, waiting to be explored! What is the best time to visit Laos? 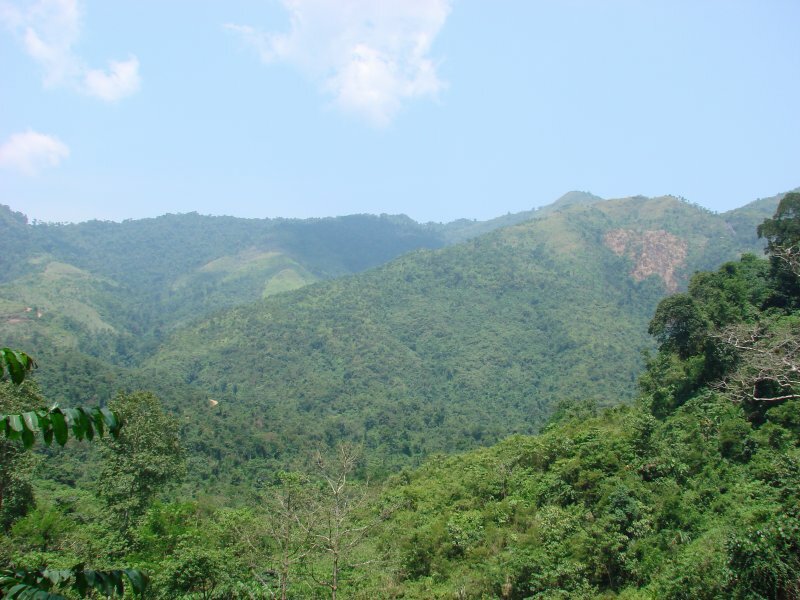 There are two seasons in Laos, the wet season and the dry season. The wet season runs from May until October and the dry season from November until April. We visited in late April/beginning of May, when temperatures are generally the highest. We didn’t have any rain during our 2 week trip around Laos even though the rainy season was just around the corner. What language do people speak in Laos? Approximately 50% of the people in Laos speak the official language: Lao. However, there are over 80 different languages and dialects spoken in this beautiful country! Lao is closely related to Thai, people from northern Thailand can generally understand people from Laos quite well. Don’t worry though if you don’t speak Lao (or Thai), almost all Lao people working in tourism speak English. Which currency is used in Laos? In Laos the official currency is the Laotian Kip (LAK). The exchange rate is approximately 9700 LAK for €1 and 8500LAK per $1. On this website you can find the current exchange rates. What should I wear in Laos? As mentioned, Laos is pretty hot year-round. Nevertheless, it’s inappropriate to wear tight or revealing clothing, as it is all countries in Southeast Asia. When traveling around Laos you you should dress modestly! Men can wear shirts and shorts, but don’t go walking around bare-chested. As a woman dressing modestly means no hot-pants, no crop tops, no short skirts or shorts (anything above the knee is generally considered too short) and nothing too tight. Also, remember to carry a scarf or sarong to cover up in temples. 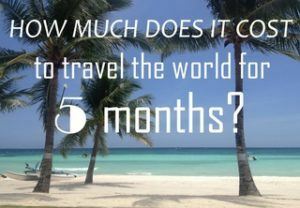 How much money to you need a day in Laos? I have written an extensive post about our Laos travel budget, but if you just need a quick number: our daily expenses were €57 / $64 as a couple. This budget includes our accommodation fees, money for transport, food and drinks and costs for activities. I entered Laos via the Chiang Khong – Huay Xai Friendship Bridge and will explain in detail which steps are involved in crossing this border. It’s not difficult, but it does involve a lot of legs. Step 1: before getting to the border me and my husband got up early in the morning to catch a flight from Don Mueang International Airport (Bangkok) to Chiang Rai. Step 2: at Chiang Rai airport we hopped into a cab, which took us to the bus station in Chiang Rai. Step 3: We got on the bus to Chiang Khong, this bus leaves every hour and is colored red. The bus drove around the luscious green Thai landscape, with vans attached to the roof, keeping us nice and cool. Somewhere around 6km before Chiang Khong city center the bus stopped. The nice Thai lady selling the tickets in the bus asked us if we wanted to cross the border today. Step 4: We got out of the bus together with some other travelers. As per usual in Southeast Asia, the tuktuks were already waiting for us. The tuktuk drove us to the border, a short drive but too far to walk. At the border we discovered we didn’t have enough dollars (stupid, stupid, stupid!) so we had to exchange at a terrible rate with a rude and shady looking guy sitting behind a table… We didn’t really have a choice so we did it anyway. A word of advice: make sure you have $35 (or a bit more/less depending on your nationality) with you to buy your visa. Step 5: The next short leg was a bus driving us (and 2 other people) across the Thai-Lao Friendship Bridge to the Lao border, where we bought a 1-month Lao visa for $35 each with our expensively acquired dollars. Step 6: We also got some Laotian Kip at the ATM at the border, which we immediately put to good use by paying yet another tuktuk driver to take us to the center of Huay Xai. Once we arrived, we walked up and down the main street and quickly found a nice place to stay. We were quite happy to arrive before the rain started. And when I say rain, I mean RAIN! Luckily this downpour only lasted a couple of hours, which we spent playing cards with the fellow travelers we had crossed the border with. Our first accommodation in Laos was Sabaidee Guesthouse in Huay Xai. The village is tiny and there aren’t that many guesthouses. After walking around the village and checking out another accommodation we choose to stay at Sabaidee. The room was very specious, bathroom was okay, everything was clean and the staff at the reception was friendly. After a good night sleep we headed to the pier to buy tickets for the slow boat to Luang Prabang. 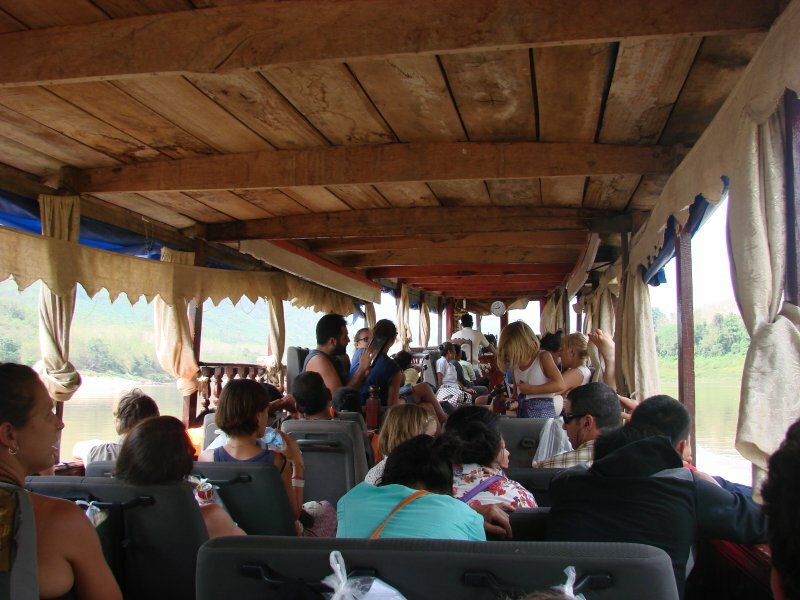 Travel tip: the journey from Huai Xai to Luang Prabang takes two days. Make sure to bring enough drinks and snacks for the journey takes! 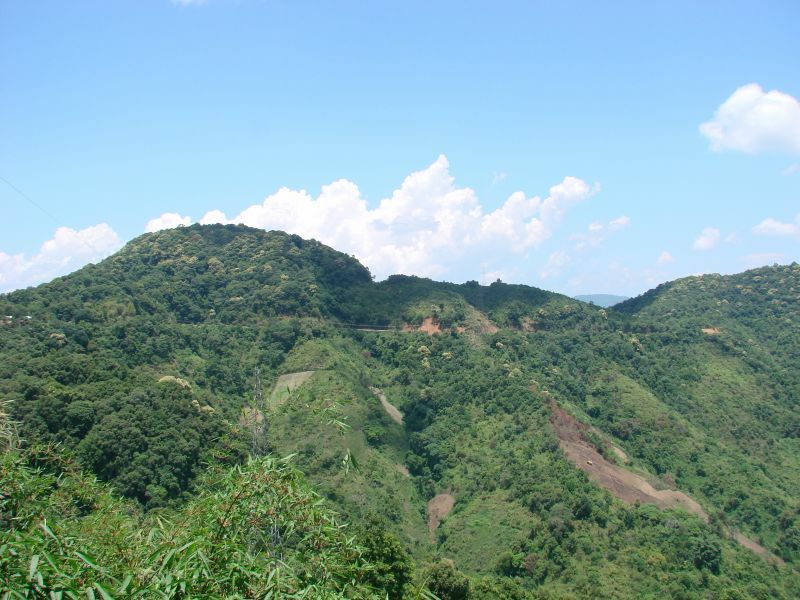 It takes an entire day to get to Pak Beng from Huai Xai, there are no stops along the way. The boat quickly filled up with other tourists and we departed only an hour late (which is exactly on time in Southeast Asia;-). I really enjoyed the journey, the surroundings are beautiful! 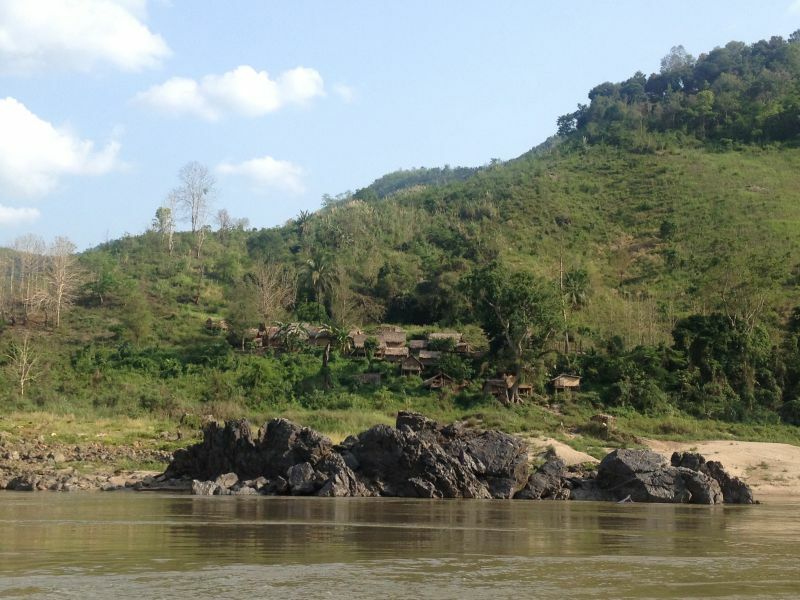 The Mekong River is impressive because of its sheer volume of water and fast-flowing rapids and we passed tiny villages with stilt houses and playing children. On the boat we made friends with a Dutch couple, friends we ended up traveling with for a week and even meet regularly now that we are back in the Netherlands. It’s one of the things I love about traveling, meeting new people and making new friends! Six hours later we arrived at Pak Beng, where we got of the boat and looked for an accommodation. Pak Beng is the standard stop for all slow boats going from Huay Xai to Luang Prabang and vice versa. Therefore, there are plenty of places to stay and we quickly found one for a mere 50.000LAK. We were delighted to discover an Indian restaurant and had a lovely dinner with our Dutch friends. 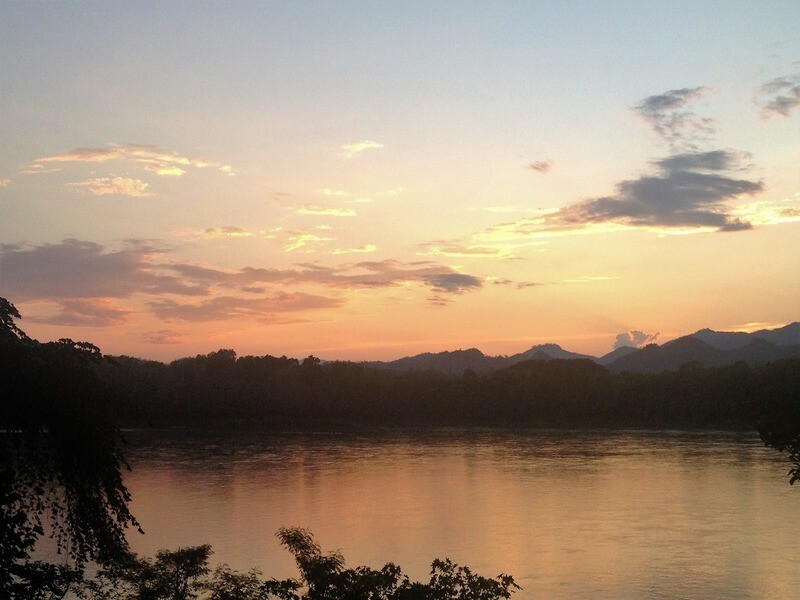 We spent the evening watching the sun set in the Mekong River…What a wonderful life! After spending a day on the slow boat from Huay Xai, we stopped at Pak Beng. During the boat trip one guy repeatedly asked if we wanted to book a hotel via him. He warned us all hotels might be full in Pak Beng. This was obviously not the case and the price we would had to pay booking at the boat was at least twice the price we eventually paid for a night at Monesavanh Guesthouse. It’s a very basic guesthouse and the light in our room was broken. But we only slept there one night and spent around 10 hours in the room. It was definitely worth the 50.000LAK;-). At 7am sharp the alarm of my phone went off and after a nice breakfast and hunting around Pak Beng for some food for lunch we headed back to the boat. The boat was set to depart at 8am, but obviously that didn’t happen;-). We left around 9.30, another beautiful sunny day of cruising over the Mekong River. Around 4.30pm we arrived at the pier, about 10km from Luang Prabang, where tuktuks were waiting to take us to the center. After spending another day on the slow boat we arrived in Luang Prabang where we spent 5 nights at Sengphet Guesthouse. Our room was on the ground floor. The room was a little dark but had a comfortable bed and spacious bathroom. The only annoying thing was the van that kept squeaking, perhaps it needed to be oiled. Anyway, the lady running the guesthouse is very friendly and speaks English well. Also, you can make free tea and coffee and eat as many bananas as you like. Great location: very close to the center, the baguette and smoothie stalls and Joma Bakery. Spending 2 days on the slow boat was nice, but I’ll admit I was a little bored at the end. I just couldn’t sit still anymore! I was very happy to spend a couple of days exploring Luang Prabang on foot. 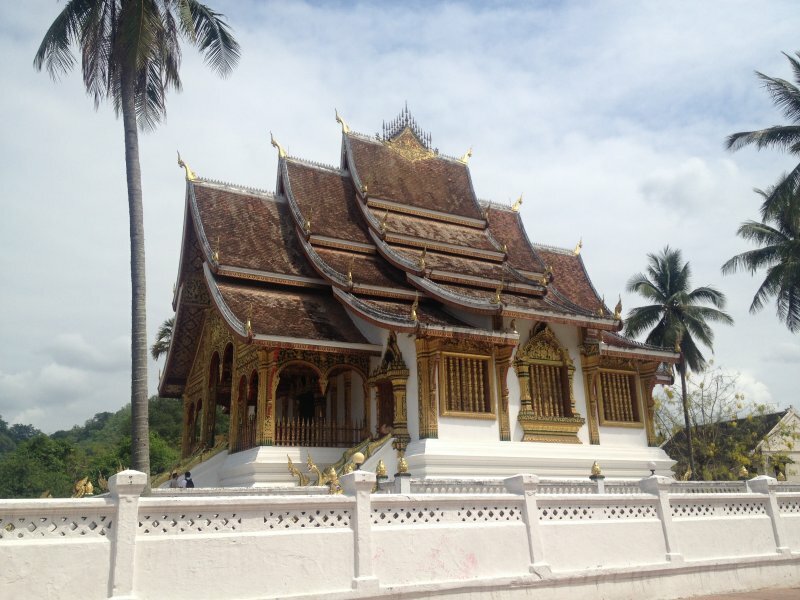 What we did in Luang Prabang? We visited temples. Which pretty much sums up our time in Luang Prabang. 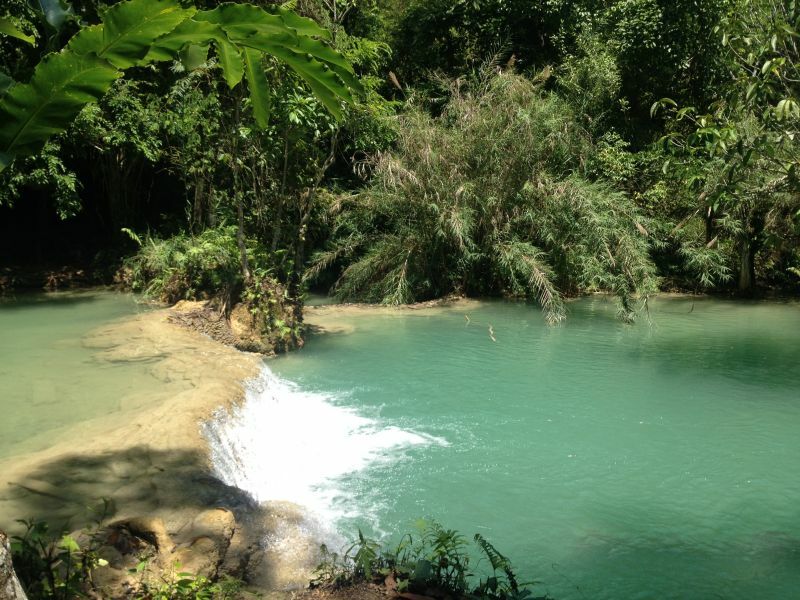 Okay, not entirely, we also mountain biked to the beautiful Kuang Si Falls. We also visited the night market. And I got food poisoning. Perhaps those two were related… You can read more about Luang Prabang here, it really is a lovely village! Completely chilled out we left Luang Prabang with a minivan ride to Vang Vieng. The ride took about 6 hours and I enjoyed every minute of it, it was so beautiful! Yes, you can take a night bus from Luang Prabang to Vang Vieng. Or directly to Vientiane if you want to skip Vang Vieng, which you shouldn’t because Vang Vieng is awesome! But please don’t! You’ll miss the amazing nature and the road is so bumpy and twisting and turning you won’t get much sleep anyway. Our minivan driver was very careful and drove slowly (bless him…) and the minivan was quite new and not overloaded. The van was meant for 12 people and for the first time since arriving in Southeast Asia, there were actually 12 people in the van. I was amazed! Anyway, I enjoyed the slow ride very much and 6 hours later we arrived in Vang Vieng. Well, actually about 2km from the center of Vang Vieng where the usual tuktuk drivers were waiting to take us to town. Which we politely declined this time, because I kind of felt like walking after sitting for 6 hours. The first night in Vang Vieng we spent in Vang Vieng Orchid Guest House. Super friendly owner, basic room but very large and with lots of windows = daylight. If you’re lucky you’ll get a room with a view and balcony, looking over the stunning limestone cliffs surrounding Vang Vieng. We had a room at the front of the hotel so no views for us. Vang Vieng Orchid Guest House really wasn’t a bad place to stay and very cheap. But every once in a while you want to treat yourself to something nice, so after one night we moved all our stuff to the brand new Vang Vieng Boutique Hotel. One of the nicest places I stayed in Southeast Asia! It had just opened (April 2015) and everything was spotless and new. We had air conditioning in our room, such a luxury! The shower was modern and clean. Extensive complimentary breakfast! Most importantly, the manager Joy is incredibly helpful and friendly. She speaks English very well and really goes out of her way to make you feel welcome and at home. I really enjoyed staying at the Boutique Hotel and gladly paid a little more for the extra comfort. Like I said, you just need to treat yourself every once in a while:-)! 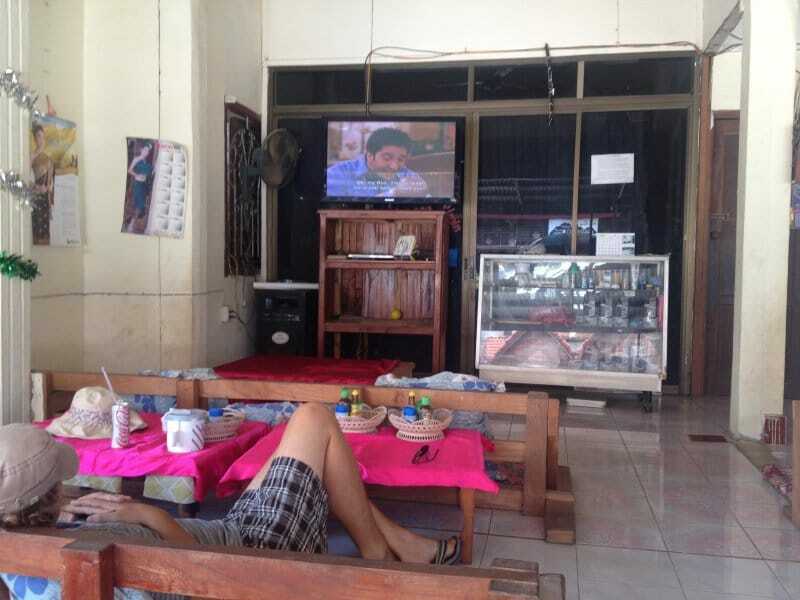 In Vang Vieng we watched Friends (a show I know though and through, in fact, it’s how I learned English! ), walked around the sleepy center and strolled along the Nan Song river running through the village. We also did some fun tours in Vang Vieng, involving tubing in a cave, kayaking and hiking. Our only hike in Laos and with good reason, the hot season had truly arrived and this is probably the sweatiest I have ever been in my life. An amazing hike though, leading along the steep limestone cliffs and through dense green jungle. Our time in Vang Vieng was well spent, but after a couple of days it was time to move on and say goodbye to our Dutch friends who would continue their trip to Vietnam while we were heading to Vientiane, the capital of Laos. The usual Laos routine applied: the bus didn’t drove us all the way to the city center but dropped us at Vientiane Northern bus terminal. We took a tuktuk to Vientiane center and walked around to find a nice place to stay. Our last hotel in Laos was Mixok Guesthouse, right in the city center of Vientiane. Friendly guy running the place, he booked us tickets on the night train to Bangkok and gave advice where to rent bikes to cycle around Vientiane. The first room we were shown smelled like cigarettes but the second one was fine. Comfortable bed, very specious room and centrally located. Vientiane is the capital of Laos and home to about 800.000 people. To be honest, Vientiane was a little too quiet for me. It didn’t have any of the hustle and bustle of other Asian cities, like Ho Chi Minh with its thousands of scooters. But with a total population of only 7 million people (compared to 90 million Vietnamese) that shouldn’t come as a surprise. To explore Vientiane we rented an bicycle, yes I know, very Dutch?! A great and relaxed way to get around the city. I loved not having to constantly keep an eye out for tuktuks and scooters. 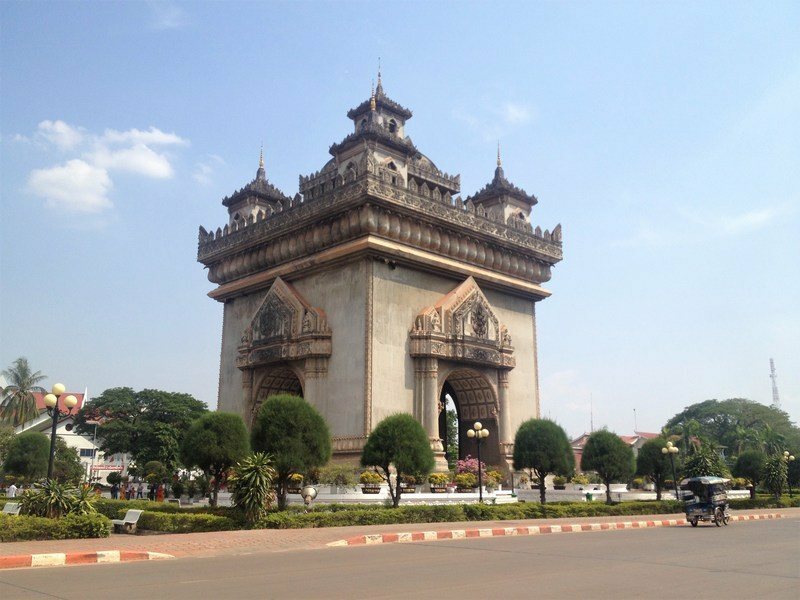 An item that’s on every Vientiane itinerary is the Patuxai, the Lao version of the Arc de Triomphe. Fun fact: the Americans thought it would be convenient to have an airport in Vientiane, so they donated some concrete to the Lao government. But the government had other plans and used the concrete to build the Patuxai instead! That’s why this building is sometimes called the vertical runway:-). What is definitely not a fun story is how the Vietnam War impacted Laos. Yes, you read correctly, the Vietnam war! 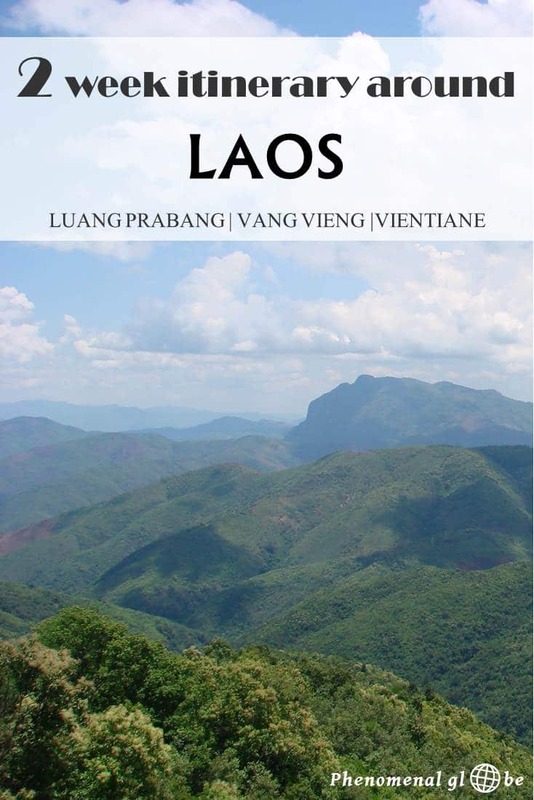 What happened to Laos during the war is described in detail in the COPE center. After two weeks in Laos, it was time to leave… At our hotel we booked tickets for the night train to Bangkok. Around 3pm in the afternoon a tuktuk picked us up and drove us to Thanaleng train station. 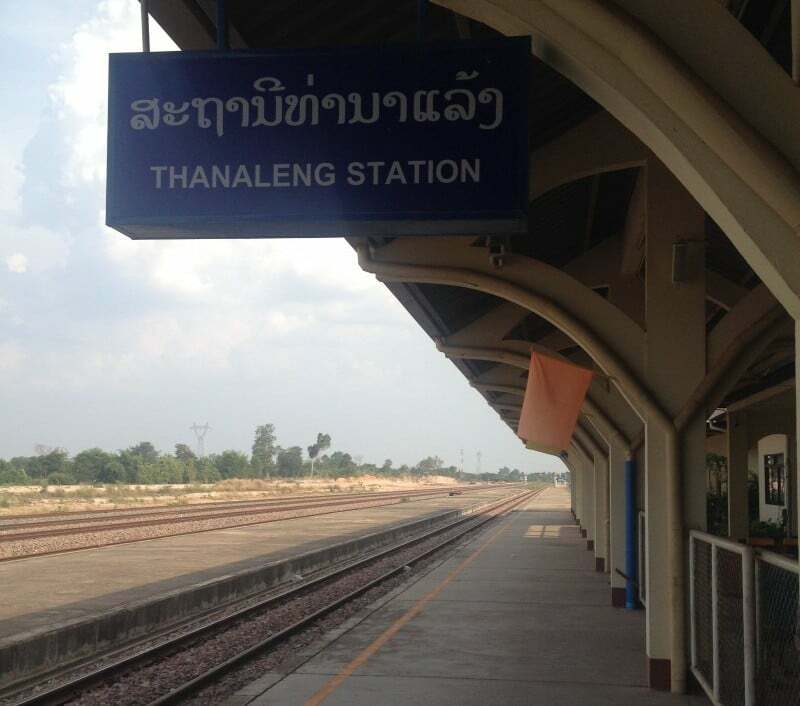 As you can see it was extremely busy at Thanaleng Station, the only train station and tracks in Laos! There we got our actual train tickets and paid a 20.000LAK exit fee, which obviously does not officially exist. There is a separate desk however, with a sign saying ‘exit fee’, lol! 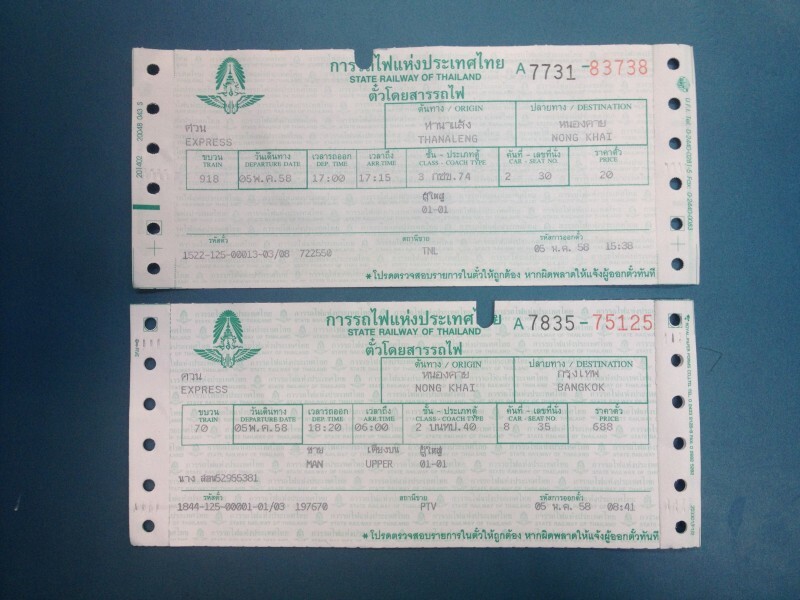 You get 2 tickets: 1 for the train from Thanaleng to Nongkhai Station and 1 for the night train from Nongkhai Station to Bangkok. With Pad Thai and some snacks we boarded the night train to Don Mueang International Airport in Bangkok. About the night train: it’s a fairly comfortable journey, though I prefer the night trains in Vietnam. Mainly because the bright lights stayed on the entire night and the curtains of my top bunk did not work well enough to keep out that bright and shiny light. My advice: go for the bottom bunk, it’s wider and darker so you’ll probably get more sleep. Altogether I had a wonderful 2 weeks in Laos. I would love to go back to explore the rest of the country! 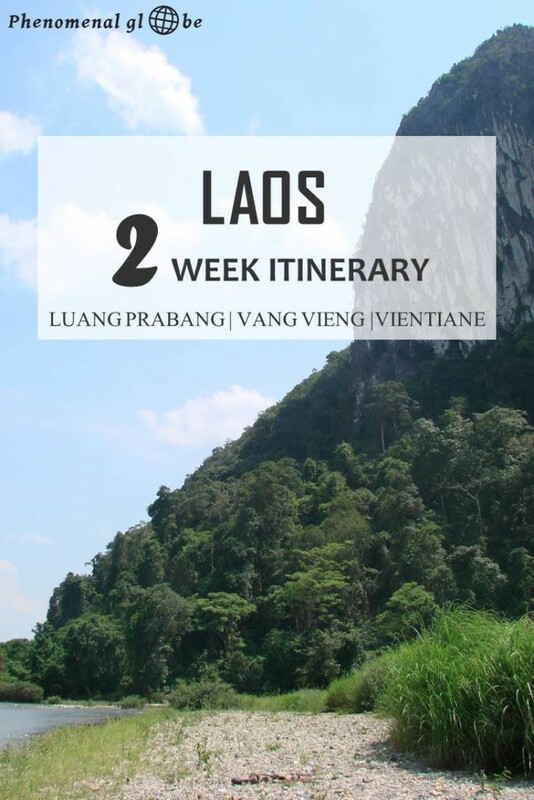 If you like this Laos 2 week itinerary, feel free to download a pdf with all the highlights and our Laos hotel information below. This post has been updated in November 2018. Haha ja volgens mij is dit nummer 4! Maar er is dan ook ook een flink stuk grens tussen Thailand en Laos;-) Ja, altijd goed om redenen te hebben om terug te gaan! Ik deed 5 jaar geleden bijna dezelfde route! Alleen geen slowboot, maar Gibbon experience en dan met de bus via Luang Namtha naar Luang Prabang. Handig dat je alle tips en kosten op een rijtje hebt gezet. Laos is fijn he? I also love writing posts like these, I’m currently working on another New Zealand post (going live later today) and it was 4 years since the trip and I totally felt like I was there again. It’s a great way also for the memories for later on, because during that trip, I didn’t write anything down, life has changed a lot as a blogger. In a good way 🙂 We only spent a couple of days in south Laos and would definitely love to go back one day! Haha I know, sometimes I wonder who I am writing a post for, myself or my readers;-) I do try and include as much information as I can to make getting around easier, but I cannot deny I love reliving my trip by writing these posts… Looking forward to reading your New Zealand post! So great to find ‘up to date’ information. A huge thanks for this. Luang Prabang is such a great city! We were only there for 2 days, but we had a great time. I wanted to take the slow boat back to Chiang Mai, but we decided to save the time and fly. It sounds nice, but I think I would get stir crazy too! Very good description and great pics. Keep traveling and sharing! Hey, really enjoyed and appreciated your post. Very practical and informative. Do you think two weeks split between Luang Prabang and Vang Vieng would be fun for kids (ages 13, 11, 8)? They’re hearty travelers, good adventurers, just wondering if it’d be a fun environment for smaller ones. Thinking of heading there in late May. Thanks again for sharing your travels. Thank you very much, I’m glad you enjoyed the post! I loved both these villages, there is a laid-back vibe, nice people and lots of things to do. Especially in Vang Vieng you can do plenty of outdoor activities (swimming, kayaking, mountain biking, hiking). Keep in mind it will be very hot that time of year, perhaps it would be comfortable to have a hotel with a pool, your kids will appreciate it;-). Have a wonderful family trip!